Founder of Microsoft Corporation, Bill Gate has said handing over his £70 billion fortune to his children will distort their prospective career. Featuring on British television, ITV’s This Morning interview programme, the world richest man disclosed that he intends to donate most of his £70 billion fortune to help the poor when he dies. He, however, stated that he will leave enough money for his children, Jennifer, 20, Rory, 17 and Phoebe, 14 that will help them attain great education and kick-start their respective careers. 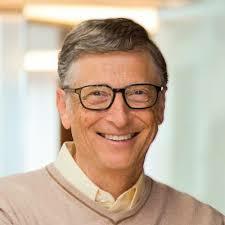 Revealing that his children are comfortable with his decision, Gates said, “They are never going to be poorly off, our kids will receive a great education and some money so they are never going to be poorly off but they’ll go out and have their own career. “It’s not a favour to kids to have them have huge sums of wealth. It distorts anything they might do, creating their own path. This money is dedicated to helping the poorest.